Ciao amico, sei visibile oggi? Le ho messe tutte alla prova. Le ho messe a punto io stesso. Lascia che la mia macchina mi parli. Tu sostituisci il mortaio. Io ho alzato i muri. chopper comin' in, you hope. I guess its just a gesture. Lyrics by R.E.M. transcribed by Kipps Teague (K.T. Lyrics Archive) except "World Leader Pretend" © Warner/Chappell Music Inc. - R.E.M./Athens Ltd / Notes & Translation © Alberto Truffi - Musica & Memoria 2002 February / Reproduction for commercial use strictly prohibited (see DISCLAIMER for detalis). Testi dei R.E.M. trascritti da Kipps Teague (K.T. Lyrics Archive) eccetto "World Leader Pretend" © Warner/Chappell Music Inc. - R.E.M./Athens Ltd / Note e traduzioni © Alberto Truffi - Musica & Memoria febbraio 2002 / Riproduzione per usi commerciali assolutamente proibita (vedi AVVERTENZE per maggiori dettagli). 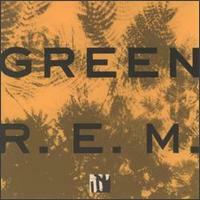 "Applicable copyright is implicit (Copyright © R.E.M./Athens Ltd. for all R.E.M. originals). These lyrics are official only when stated and in other cases represent a collaborative interpretation by fans."